Shortly after I moved to Washington, D.C., the government shut down due to a disagreement in Congress over healthcare funding. While most of the country didn’t see an immediate change, my friends who work for organizations across the country to provide support for refugees, unaccompanied migrant children, and trafficked people did. Immediately after the budget expired, they were told they would have to halt their work if the shutdown continued for more than a couple of weeks because their organizations would not receive payment for their work. That was when I realized just how much the federal budget impacts the most vulnerable among us. Every year, the way Congress allocates money influences in programs that impact immigrant communities across the country. Since Congress has failed to update our immigration laws through stand-alone legislation, Members of Congress have the power to stand for policies that welcome vulnerable migrants and refugees through the federal budget. In January, President Trump signed multiple executive orders that severely limited the ability of individuals to seek asylum, increased the detention of migrants, actively separated children and families, and expanded border enforcement. These executive orders are already being implemented, but continuing to do so in the future will be prohibitively expensive and require cuts to other important domestic or international programs to pay for them. Members of Congress now have the power ensure funds do not go toward policies that are neither practical nor honor the God given dignity in all of us. As citizens and disciples of Jesus Christ we seek the common good by holding our leaders accountable to good stewardship of public funds. For FY17, Congress passed a short-term Continuing Resolution that funds the government until April 28th. 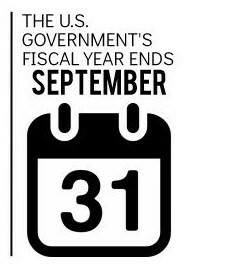 This means Congress must either approve a budget to pay for the rest of this year by that deadline or pass another short-term resolution to avoid a shutdown at midnight. At the same time as Congress is trying to approve this year’s budget, they are also beginning the process of figuring out the budget for next year; FY18. The process formally begins when the White House sends Congress its budget “wish list.” Earlier this year, the White House sent a short summary of their budget wish list. 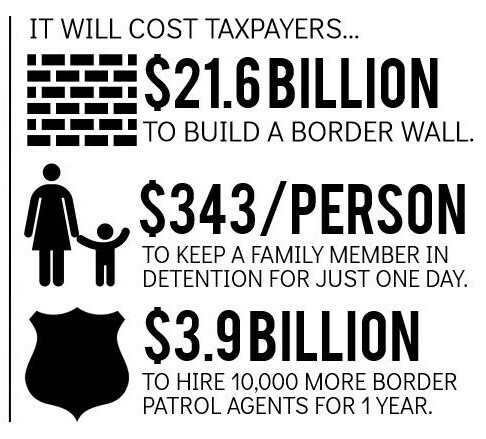 President Trump has requested an additional $3 billion this year (FY17) to build a border wall and increase detentions and deportations, which Congress is considering in their negotiations. Churches and faith-based organizations, including ELCA Advocacy, have urged Congress have stood together against approving these funds. The White House’s wish list for next fiscal year (FY18) outlines its intention to cut funding for poverty-focused programs in the U.S. and abroad while continuing to indiscriminately increase migration enforcement. 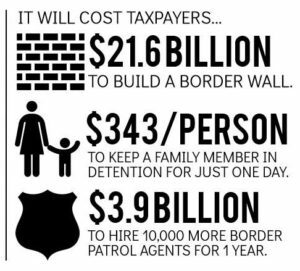 For example, it includes a 7 percent increase to the Department of Homeland Security’s budget while reducing funding for the Department of State by 28 percent. These requested changes are very concerning because the Department of State houses programs dedicated to addressing the root cause of migration. (The Washington Post put together an overview of all cuts and increases in the White House’s budget request.) People of faith across the country continue to urge Members of Congress approve a moral budget that reflects our values and advances the common good. As a church called to be a serving presence in society, we serve when we “hold power accountable, advocate justice, stand with those who are poor and vulnerable, provide sanctuary, and meets human need.” (ELCA social statement: “For Peace in God’s World”) We stand firmly against inflicting harm in all communities by cutting funds for programs that serve vulnerable people or defund programs that better the conditions that force people to flee their home countries. We stand for a moral budget that reflects God’s given dignity in all of us. Last month, Lutherans visited over 130 Congressional offices and urged them to continue investing in programs that address the factors displacing children and families, and to adequately fund the U.S.’s refugee resettlement program. Join our ELCA Advocacy Network to receive updated information and action alerts! Pray every day for all legislators that shape policy and the communities that see its effects.